LA CLAVE is a fascinating documentary exploration of the similarities between salsa music and reggaeton. 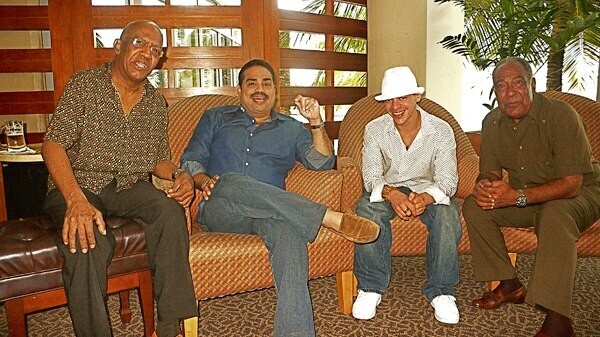 Featuring both old school salsa icons (Ruben Blades, Johnny Pacheco, Willie Colon, Ismael Miranda and Gilberto SantaRosa) as well as chart-topping reggaeton sensations (Julio Voltio, Tego Calderón, and Hector "El Father"), this film brings together these extraordinary artists to discuss how two different styles of music can have so much in common. They also break down how their music is all composed under "La Clave," the five-note two-bar pattern that generates rhythmic measurement and is the foundation and backbone of salsa (and all Afro-Cuban-based music). LA CLAVE takes you on extraordinary journey back in time to examine the roots of these various genres, most notably the rhythms of African drumming and percussion.